The actor was struggling with a hard sensen that caused his death. 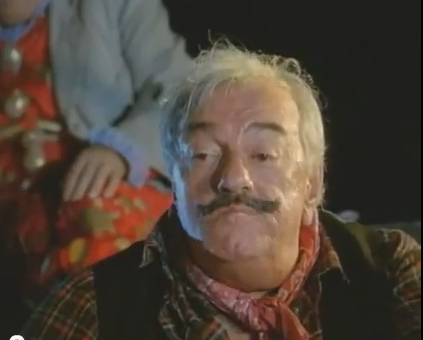 Actor and filmmaker Baadur Tsuladze died at the age of 83, reports GPB's First Channel . The actor recently struggled with the hard senses. Baadur Tsuladze was born on March 5, 1935 in Batumi and graduated from the directing faculty of the Moscow State Union of Cinematography. He appeared in about 50 films. His debut film was "Wedding" which was followed by the films "Giorgobis", "Dinosaurs", "Do Not Give Up! ", "Transfiguration", "Melodies of Veri District", "Butterfly", "First Swallow" "Don Quixote and Sanchois", "Roots", etc. Since 1969 he has been a member of the Cinematographers' Union and has made more than fifty films. He has received prizes at the Rigi Sports Films Third Union Festival (1970). XIV International Film Festival of CIS and Baltic Countries "Kinoshok", Anapa (2005) - Jury Special Prize for Best Performance in Men's Motion Picture "Tbilisi-Tbilisi". Since 1961 he has worked as a director in the Georgian film studio. Born: 3/5/1935, Batumi, Transcaucasian, U.S.S.R.